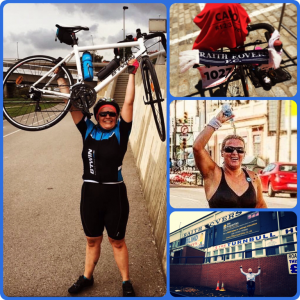 For the fifth successive year, Barcelona-based Trust member Carol Smith is taking part in a triathlon this weekend in order to raise funds for the Raith Supporters Trust. This year, she is swimming 1.9km, cycling 90km, and running 21km – her furthest distance yet. Please give generously to support her, using the link below! Read more about Carol’s challenge here. “Four Men, One Cup” win second cup! 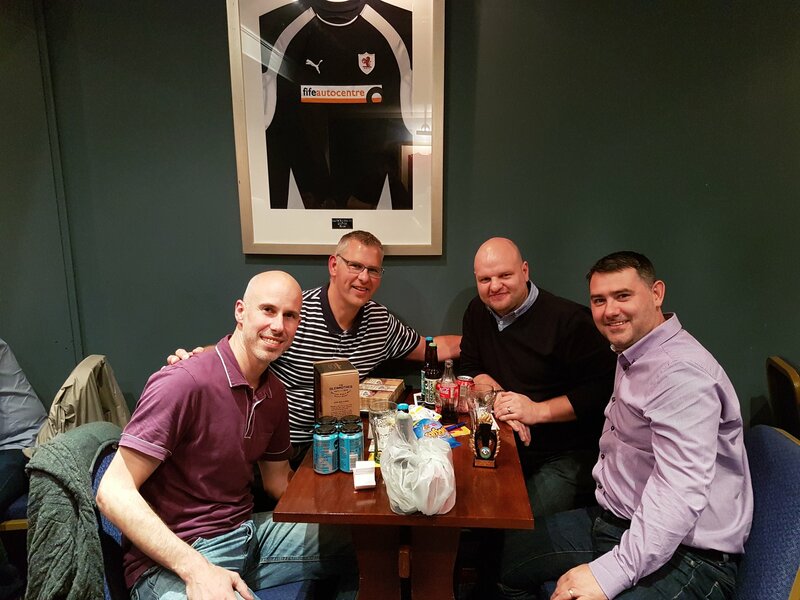 At our fourth annual quiz night, reigning champions “Four Men One Cup” fought off stiff competition to retain their trophy. They now have two cups and will have to change their name. For the second year running they also declined their cash prize, and we would like to publicly thank them for their generosity and congratulate them for their wit and intelligence. A capacity crowd formed 12 teams, with five of the RRFC board represented in two of the teams; and first team squad members Kevin McHattie, Joel Coustrain, Yaw Osei and Andreas Thorsen forming another RRFC team along with goalkeeping coach Wayne Henderson. Scoring was unbelievably close right until the end, with 3 points separating the top 4 teams after 10 rounds. The RRFC players almost lifted top prize, until an arithmetical error was uncovered on their scoresheet! The highlight of the quiz was the now infamous “career paths” round, although it was slightly less cryptic than in previous years. The booby prize (aka The Jim Leishman Memorial Trophy) went home with a team from the local SNP constituency office. For some reason they seemed delighted with the prize. A straining raffle table was cleared at the end of the night, with the proceeds contributing to a very healthy profit of £525 for the evening. The board of the Raith Supporters Trust would like to thank everyone who attended, and also those who contributed raffle prizes. Thanks also to the team behind the bar in the Raith Suite, and last but definitely not least Steve Wallace for compiling the quiz and compering the event. The Raith Trust are holding their annual Quiz Night on Thursday 22nd September 2016 at 7pm in the Raith Suite, Starks Park. Tickets are £10 a head for teams of 4, which includes pies, a drink from the bar and entry to the quiz itself. Some of the finest minds in the Rovers support will be in attendance (! ), along with teams from the Starks Park office, players and coaching staff. Any Trust member that wants to join a team (or wants to bring a pal – membership of the Trust isn’t mandatory) is more than welcome, so please contact membership@raithtrust.org.uk if you’re like to book a place on the Trust team, or to enter a team of your own. The Trust Quiz has been running for 4 years, and is always an entertaining night with a raffle and auction during the evening to compliment the quiz. 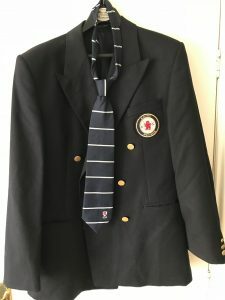 Well-known Raith fan (and member of the Raith TV commentary team) Davie Hancock is cycling from Starks Park in Kirkcaldy to Contalmaison in France this summer, to mark the 100th anniversary of the Battle of the Somme. The ride will take place in June/July 2016 and will allow Davie the opportunity to pay respects to the players and fans who fought as part of the McCrae’s Battalion. The Battalion brought together sportsmen and fans to unite for a common good, and by contributing you can help keep alive their legacy through the memorial Cairn and various educational programmes that are run by the McCrae’s Battalion Trust. Please give what you can by visiting Davie’s fundraising page. The Raith Trust hosted their second annual Burns’ Night at the Victoria Hotel in Kirkcaldy last Saturday. In the capacity crowd were Rovers manager, Ray McKinnon and coaches Laurie Ellis and Grant Johnston, Scottish actor and renowned Burns reader Tam Dean Burn (brother of the late Philip Burn, former Rovers player in the early 90s), along with special guests from the Kirkcaldy Foodbank, Roary Club parents and a whole host of Rovers fans, Burns fans and other weel kent faces. The guests were treated to Rovers fan Derek Purvis performing the Address to The Haggis, The Selkirk Grace from Trust Chairman Alan Russell and the Haggis being piped in by none other than Roary Rover. A fine Burns supper was had followed by a superb Immortal Memory from Tam Dean Burn followed up by a bumper raffle and auction from Trust Board members Steve Wallace & Steven Lawther. In between all of that Niall Russell interviewed both Ray McKinnon and Laurie Ellis about their time at the Rovers and their earlier careers. A braw nicht was had by all and a 4 figure sum was raised for the Raith Trust funds which as ever will be invested back into Raith Rovers Football Club. Plans are already afoot for next year’s event – don’t miss it! The Raith Trust are delighted to announce the return of their popular Burns Night fundraiser. 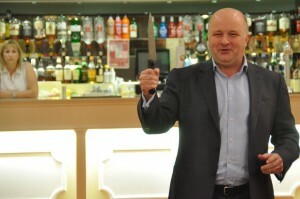 Last year’s sold out event saw almost 150 attendees enjoy a great night of Burns with the traditional Burns Night Haggis, mixed with some great words from Val McDermid and a great Q&A session with Jock McStay and Frank Connor and raised over £2,000 in funds which go to support Raith Rovers Football Club. The 2016 Raith Trust Burns Night will take place on Saturday 23rd January at a different venue, the Victoria Hotel in Kirkcaldy. Tam Dean Burn, renowned actor and writer has been confirmed as a speaker and there will be more to be confirmed and announced shortly. 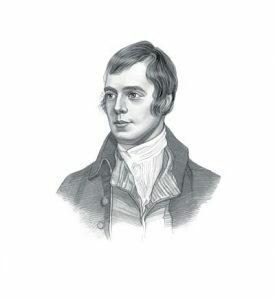 There will be a 3 course Burns Night meal, the Big Burns Night Raffle, Auction, and many familiar faces reading Burns favourite poems. Tickets cost £25 per person, with a £5 discount for Raith Trust members, and anyone wishing to book a table of ten, will be able to book a table for £200 – a £50 saving. Please note that we can only offer one of these savings with any purchase. 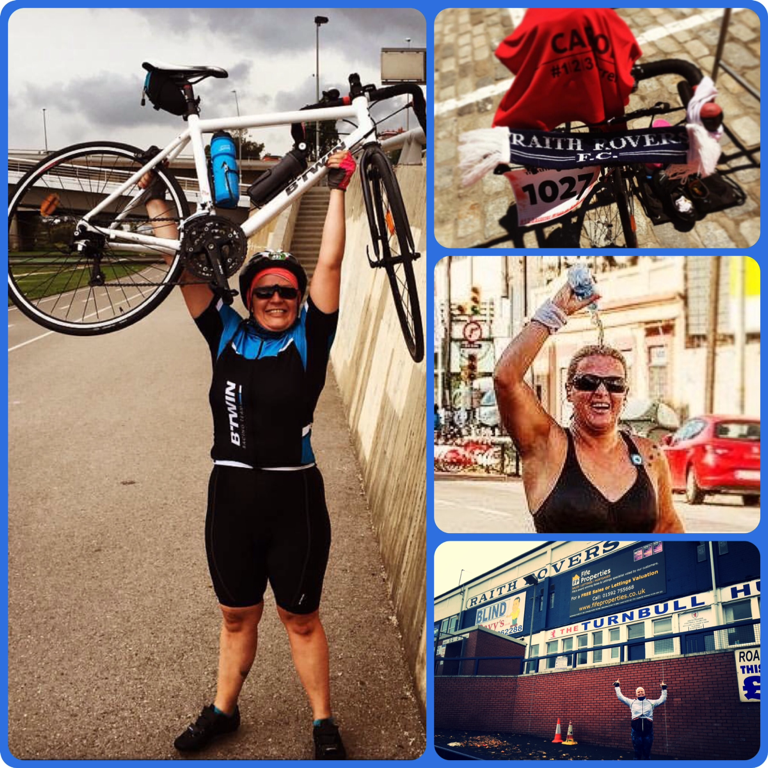 Good luck to Carol, who will be completing the final part of her tri-triathlon this Sunday. It’s not too late to sponsor her!